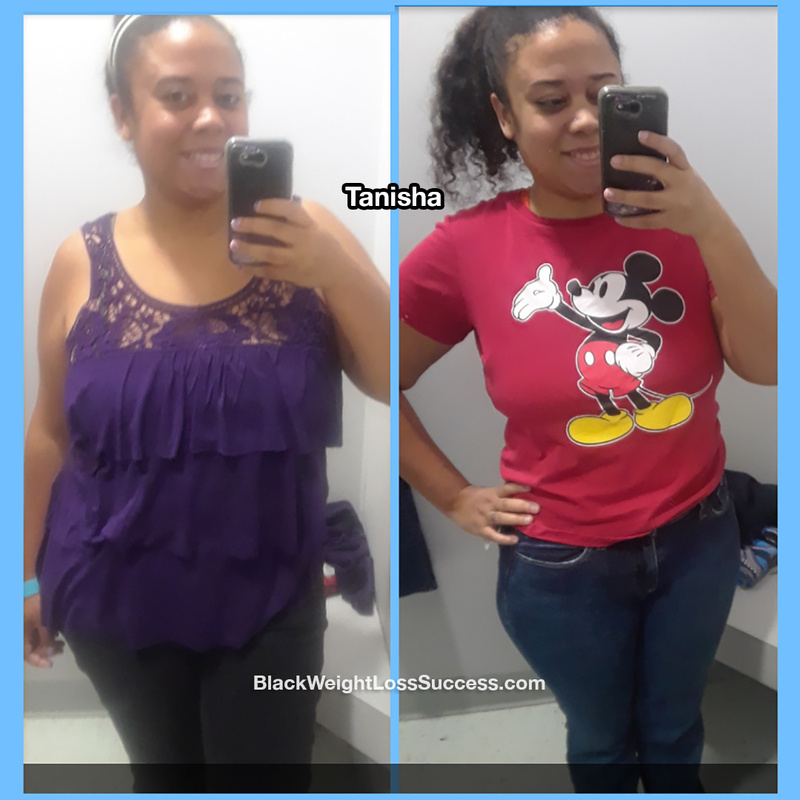 Transformation of the Day: Tanisha lost 65 pounds. Watching the people around her get sicker as they aged inspired her to become a healthy example. She cleaned up her eating habits, worked out regularly and celebrated every 5 pounds lost. Check out her transformation journey. I think my biggest motivation was watching those around me getting sicker as they got older. I watched as family members struggled with things like diabetes, and I came to the realization that I didn’t want that to be me. I want to be a healthy example for those around me and not miss out on what life has to offer because I wind up with a disease or illness. I think my biggest habit change was in how much fast food I was eating. I reduced my junk food intake and switched to eating more well rounded meals. I reduced my carb intake and upped the amount of fresh fruit, fresh veggies and lean protein I was eating. Working out wasn’t part of my routine in the beginning. However, as I lost weight I added in various workouts. Two to three times a week, I’d go for a long, fast paced walk (usually for a minimum of 45 minutes each time). Another 2 days a week I would focus on building muscle. I use Fitness Blender videos on YouTube a lot to mix up my workouts! My starting weight was 204 pounds and my current weight is 139 pounds. (and still losing!) My height is 5 feet tall. I started in January 2017 for my New Years resolution. My transformation tookk a year and a half. I’ve learned to not get easily discouraged. Many efforts I started in the past fell through because I would second guess myself and cave in. Persistence pays off. Celebrate every little victory. I celebrated every 5 pounds.